The Pro Crew helmet was designed with all the same great technology as our 3000 Series helmet line. It is constructed with our lightweight composite Z38 shell and G78 impact liner. 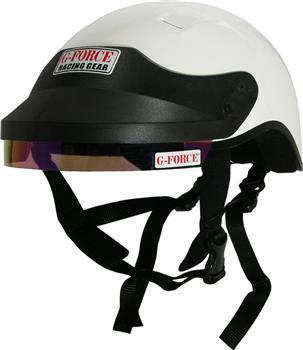 The G-Flow ventilation system consists of four top vents that keep your head cool. It features multi-adjustable straps for radio headsets and an adjustable visor system has a tinted band to help keep the sun out your eyes to make pit stops even faster. Don’t compromise your safety by using a hockey or bicycle helmet. Use the Pro Crew Helmet for assurance in difficult situations from track crew to pit crew.